The rules of the water are not as restrictive as those of the road. Unlike in a car, there is no current rule whereby a boater must first pass the equivalent to a driving test to demonstrate their competency in a boat. In boating a greater emphasis is placed on the competency of the boat itself. Boating around the coast or further out to sea is open to all and does not require a licence. 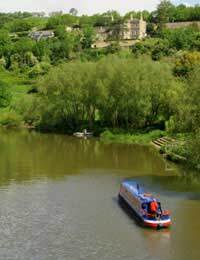 Passage down one of Britain’s many inland waterways however requires a boating licence or registration with the appropriate authority in charge of it. Almost all of British waterways are run by three different organisations – British Waterways, the Environment Agency and the Broads Authority. British Waterways is responsible for most of the United Kingdom’s rivers and canals and requires an appropriate licence before a boat is launched in these waters. To boat along the Thames and Medway rivers as well as those in East Anglia a registration form must be filled out for the Environment Agency. For boating on the Norfolk and Suffolk Broads a toll must be paid to the Broads Authority. For boating on British Waterways water there are two main types of licence to choose from – a pleasure boat licence and a business licence. A Private Pleasure Boat Licence allows a boat to be used for pleasure or personal residential use for standard periods of three, six and twelve months. It does not permit a boat to be used for hiring, carrying goods or passengers for payment or any other commercial function - these activities require a British Waterways Business Licence. This is not only appropriate for businesses but for social clubs, local authorities, charities and time share operators. The Environment Agency requires boaters to register separately for each of its Thames, Medway, Royal Military Canal and Anglian river zones. Within these areas there are specific registrations for annual boaters and visitors. The registration and licensing costs are assessed by the size and class of a launch and so can vary dramatically. The class refers to whether the vessel is used for a business or pleasure function or how sophisticated its onboard facilities are. The two main navigation authorities offer special rates and reductions for unpowered or electrically propelled craft, as well as historic and particularly small vessels. Boaters who intend to travel up and down the nation’s rivers and canals through various navigation authority zones are saved the trouble of multiple registrations by purchasing the new Gold Licence, which allows passage on a combination of British Waterways and Environment Agency waters. Before being issued with a licence, motorised craft need to pass a stringent MOT-like test called the Boat Safety Scheme, which assesses whether the boat meets the necessary safety standards. A licensed craft will also need to have at least third party insurance. This is the same as a car needs to drive on public roads, although it is less of a headache on the water as the costs are much lower and so most people opt for the ‘all risks’ cover. Sailors planning on chartering a large yacht must adhere to qualification regulations that vary from country to country. Typically the yacht owner will specify that an independent bareboat charter requires a sailor with skipper’s licence or certificate as well as one qualified crew member. These qualifications can be acquired by following an appropriate sailing course. The relative leniency in regulations with regards to competency means that everyone can give boating a try. We have upgraded from our inflatable canoes toIntex Excursion Inflatable Boat Set with Aluminium Oars and Pump ( 5 Person Model) The boat measures approximately 144in x 66in x 17in (366cm x 168cm x 43cm) with Bsion 40ft/lb 12v Electric Outboard Trolling Motor - our intention is to use it on the waterways all over the UK and perhaps abroad.From the research I have done it appears the Gold License is the best to suit our needs but it is the insurance I am not sure on where does one get that what class does our raft, dingy fall into? The Canal and River Trust adviced us "To use any of our navigations, you will not require a certificate of compliance or boat safety certificate. All that we would require is that you have insurance in place for the vessel and a valid license to use our waters. As you will have an engine, we require that you hold third party liability cover for a minimum of £2 million pounds. "However I contacted RYA and wondering if ICC will replace the Gold License? Firstly let’s begin by explaining what is the International Certificate of Competence, ICC or Boat License actually is. The ICC or boat license is in reality a European Union (EU) accepted certificate through the United Nations (UN) resolution 40. Currently this has been accepted by all countries except for Belgium. Just got a 14 foot waverider. Do i need a licence to take her on river and lakes for a cruise and the sea for fun. Looking at buying a boat but just would like to no how much a boat license is, insurance, docking fees is? Hi I’ve been doing a lot of searching but I can’t seem to find the age you need to be to get a license. I’ve just turned 16 and was wondering if I would be able to get one or if I will have to wait until I’m 17 or 18. Hi all. I want to buy a 17/19 ft boat to use at sea for fishing but before I made this investment I really wanted some info, for example do I need a license for it, or insurance. Please any information you could give I would really appreciate it thanks. I'd like to spend more time out on the water but I do have limited funds. Ideally I'd like to be able to take a boat out along the Adriatic Coast one day but initially would probably look at going along the Thames for day trips etc. Are there any qualifications I need for both kinds of journeys and how do I get these? Or do I 'just' need a licence with no real training? As you can tell I'm very new to this so any beginner tips would be gratefully received! Thanks. - ownership certificate or authorization for the use of vessel"
Do I need a licence for using a ski jet at sea? You don't usually need a licence in the UK to use a jet ski at sea. Some other countries and some of our inland waterways may require a licence. I am writing a story aboutboy who tries to complete the dream of he and his deceased father by restoring a sail boat to make a grand journey, his plan is to sail on his 16th birthday......alone. As an American with limited knowledge of sailing (although I am reading everyday for research), I have three questions: What is the max size boat one could even consider handling alone, what would be a great challenge as a route for this trip and lastly can you think of anything that could stop or delay a 16 year old from sailing that could create conflict to overcome in the story? Hi could anyone please help me out,. If I buy let's say a sunseeker Manhattan what is the maximum size that I could buy before I need any kind a licence? And what kind of licence would I require to sail this vessel?in any location around the world, also if I chartered out the vessel to paying clients would I need a qualified captain? Or could I sail it myself, surely I would need some kind of licence to do this? I would be very greatful if anyone could help me out with the above information, as I'm new to the yachting world, many thanks, oceanman. Note that the ICC is not necessarily a recognised licence in other countries, but many other European countries will accept it...check before you go! You can apply as an Australian resident. Here' s link to the application form. Hey I am googling and coming up with confusion! Basically we are getting an intex excursion 4 inflatable dinghy/rowing boat and will be fitting it with a 12v motor to use on River Thames in Oxfordshire. I understand we need a licence and to get a licence it appears we need insurance etc but I cannot figure out what category this type of inflatable boat will come under in order to get a quote! The whole thing will cost about £200. I've rowed a lot but always hired or gone with other people so am new to the actual owning of one. I'm getting a 30 day licence for just rowing but need to understand how to get insurance on this boat when we stick the motor on it - or indeed if we need a licence as I also read somewhere we don't need it if it is this type of motor its exempt?? Please can someone point me in the right direction so that we can be legal on the river? Thanks!! I passed my test a quite a few years ago in Spain with an English company but never got my license but on record I had passed as I owned a 22ft mored at toraviega does your licence last like a driving licence? I think the company I used was sss serenity or ss serenity but I'm not to sure how can I find out?? Most boat licences last 5 years. Contact the UK ship register for more information. All I can say is this, I was given an inflatable ten foot dinghy with a 2HP outboard from a relative who was too ill to use it. I thought a day out now and again on the river with my wife would be ideal pleasure now that we are retired. However, I find that the craft is not registered, so that will be a cost of £124. It will also need a safety certificate costing £34.80. To get this I will have to have it examined by a qualified examiner, minimum cost £49.99. Then I need insurance to sail it on a river or canal, of a minimum of one million quid, costing £30.00 min. Then once all this is in place, I can apply for a 30 day river licence costing £102.00. So for a maximum of 30 days of pleasure with my wife in a ten foot rubber dinghy, which was gifted to me, it will cost me £340.79 for the first year. The reality is that if I get out in the boat three or four days a year, this will be pushing it! So this is about £130 p/day. Granted that next year it would only cost me my river licence and insurance of £130, but after giving it due financial consideration, I think I will part with the craft and go on a chartered river cruise! Nelly - Your Question:Looking at buying a boat but just would like to no how much a boat license is, insurance, docking fees is?